50 Metre target rifle is an Olympic Rifle Shooting event. 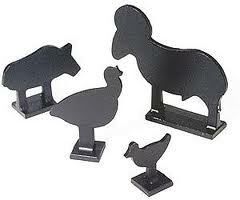 It includes the Three Positional and Prone events. 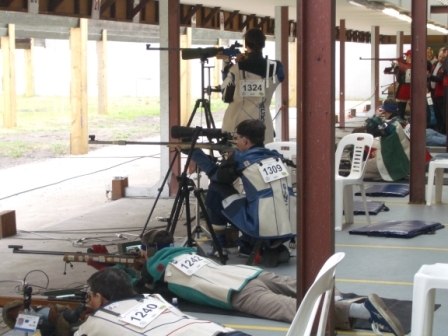 The 50 Metre Prone Rifle Event is shot by both Men and Women. However, at Olympics only men participate in this event. Some International events cater for both Men and Women, however they participate in separate events. In Queensland both Men and Women participate equally in all events. Disabled shooters are able to participate in the 50 Metre prone event, either shooting from a wheel chair or if able to may shoot from the prone position. Competitors fire 60 shots over 50 metres using a .22 target rifle. The shots are fired from the prone position in a total time of 75 minutes. There are local variations which include 20 Metres and 90 Metres. Three Position 3 x 40 and 3 x 20. 50 Metre Three Position shooting is divided into two categories. They are the 3 x 40 which is the men’s event and the 3 x 20 which is the women’s event. Internationally these events are shot at all levels of competition. In Queensland we allow both men and women to enter these events equally. Disabled shooters are able to participate in the 50 Metre Three Position event, however they shoot from a wheel chair using the International Disabled Rules.